Mr Sharad Pawar is member of the India parliament and president of the Nationalist Congress Party which he founded in 1999, after separating from the Indian National Congress. He previously served as the Chief Minister of the State Maharashtra on three separate occasions. Only the state Maharashtra has an area of about 308.000 km2 (+- 7.5x NL) and a population of about 112.4 million people (+- 6.6x NL)! Also Mr. Pawar was Minister of defence and Minister of Agriculture in the Government of India. Mr. Pawar originates from the town of Baramati in the Pune district of the Maharashtra. Mr. Pawar is the Founder-president of the Agriculture Development Trust (ADT) Baramati (www.agridevelopmenttrustbaramati.org) to which several colleges and research centres belong. In the Netherlands, Van Hall Larenstein, University of Applied Science (HAS) has a strong cooperation with ADT on research and educational level. 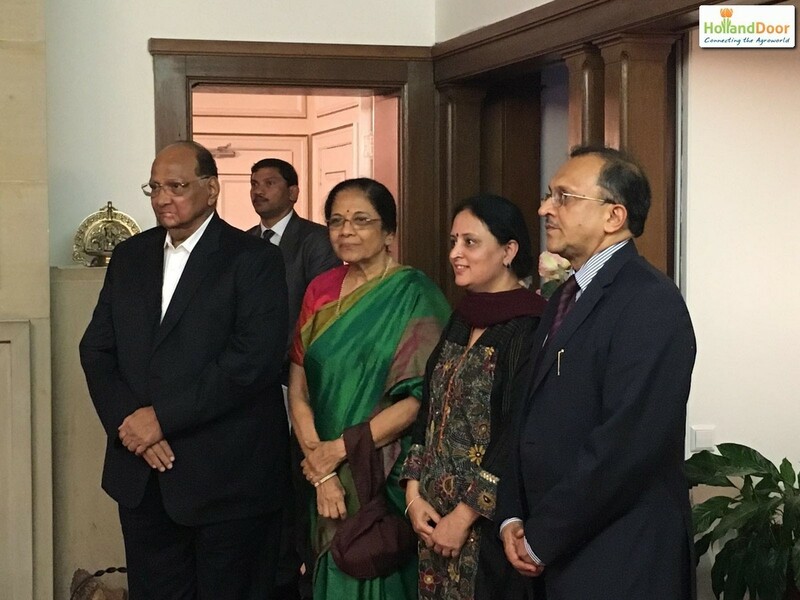 Mr. Sharad Pawar holds a position of prominence in Indian national politics as well as the regional politics of Maharashtra and has strong influence of agricultural developments in India. Click here for more information about Mr. Sharad Pawar. 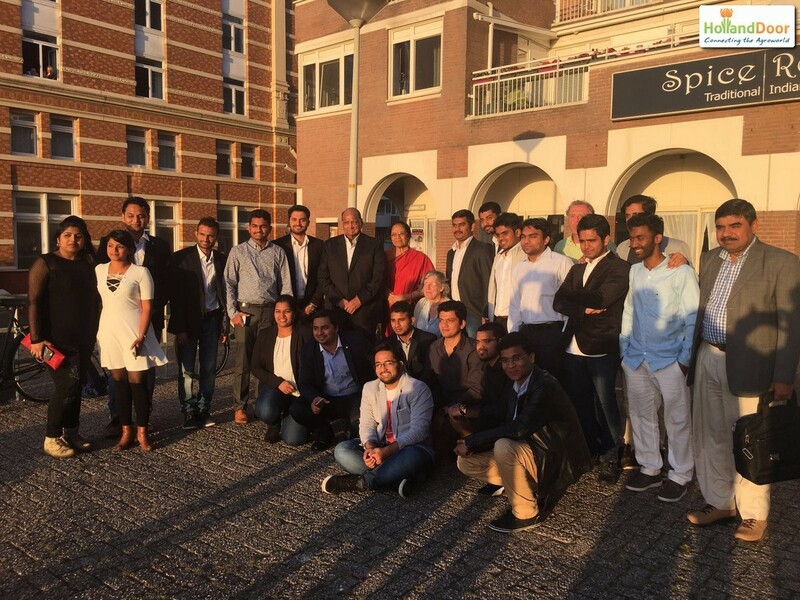 HollandDoor organized, on request of Mr. Pawar, a tailor made study trip to the Dutch agriculture and horticulture during the period of 10-14 July 2016 for a delegation of the government of Maharashtra. 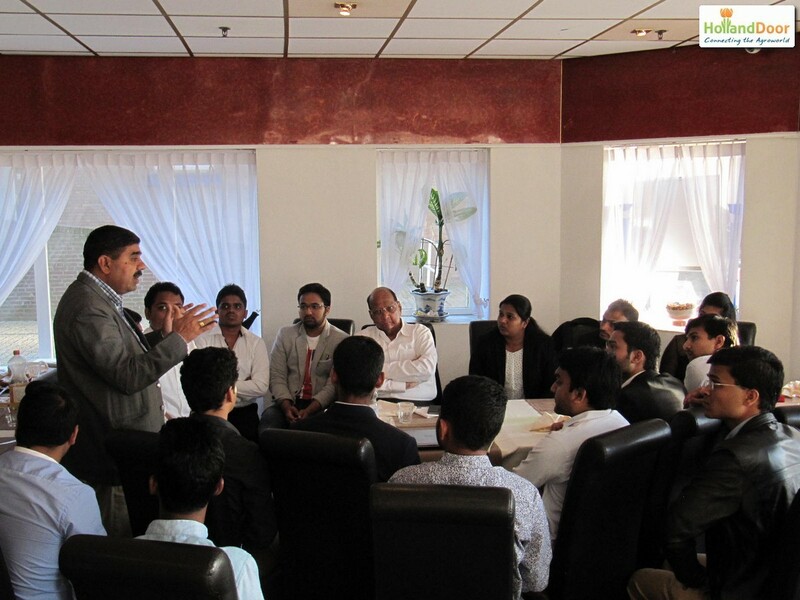 Mr. Sharad Pawar and accompanying delegation wanted to get latest information and inspire themselves in a 3-day intensive visit program to Dutch agriculture and horticulture. 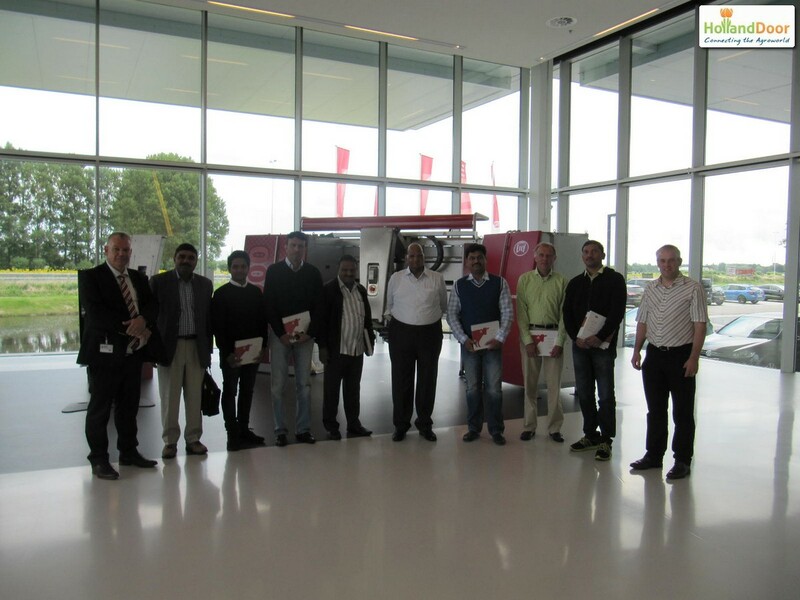 They wanted to get informed about different production techniques, supply chain models, research & education which are used in the Netherlands. The Indian population and economy are growing. However amount of available land, its fertility and sustainable usage together with availability and affordable prices of water, fertilizer are challenging topics. India has to produce more with less in coming decades to feed its population. 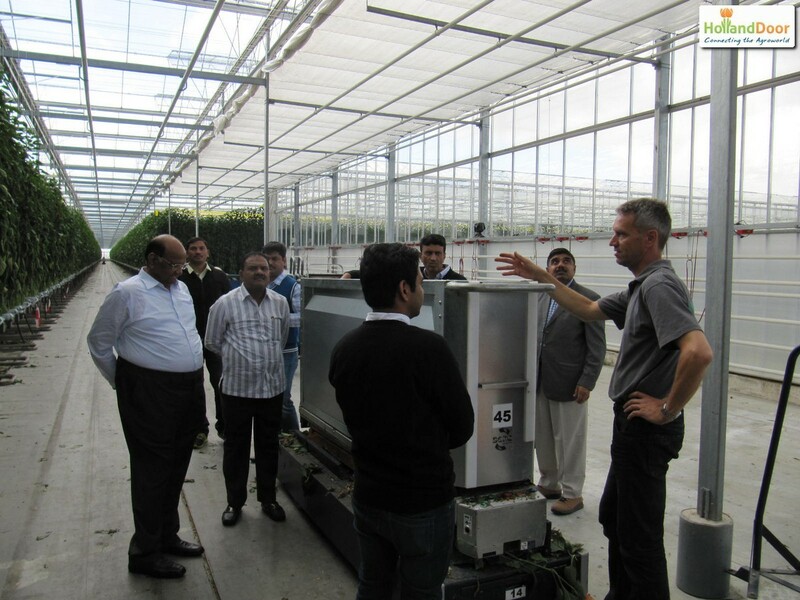 The Netherlands has developed a very efficient agricultural sector and it contains living examples for needed further agricultural development in India. In this perspective, there are many opportunities for Dutch companies and institutes to share their technology, skills, knowledge and networks to get involved in Indian development of Agri and Food business.